(Host) A new survey of state workers displaced from the state office complex in Waterbury by Tropical Storm Irene shows that the vast majority back a plan to renovate their former workspace. The survey was conducted by the Vermont State Employees Union and roughly 40 percent of the Waterbury workers responded to the survey. (Casey) "People built their lives around moving to the Waterbury area, being in that community, so I think you can see from the survey there’s a strong desire to return back to Waterbury." (Casey) "It’s really important for the front line workers to have a voice in these decisions because it affects them directly it affects their clients directly." 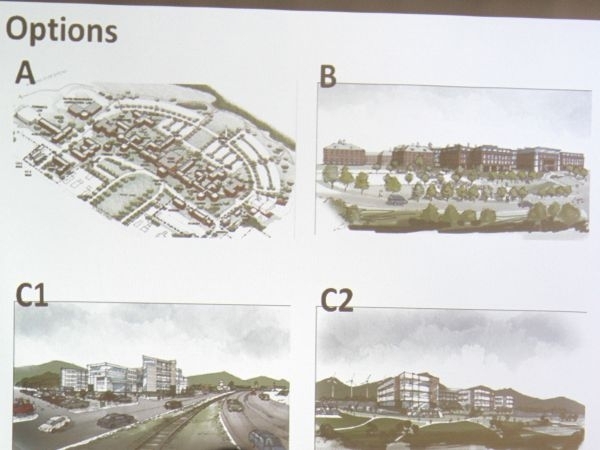 (Host) Although a consulting team recommended four options for the Waterbury workforce, it’s believed that only two of them are being seriously considered: renovating some of the Waterbury buildings and constructing a new building in the complex, or building a new state office building in Montpelier. (Spaulding) "We’re going to be working closely with the Legislature to come up with a plan based on the scenarios that were provided to us and there’s a good chance that many of them will be going back to Waterbury." (Host) Spaulding says he hopes a preliminary decision can be made about the future of the Waterbury complex by the end of the month.